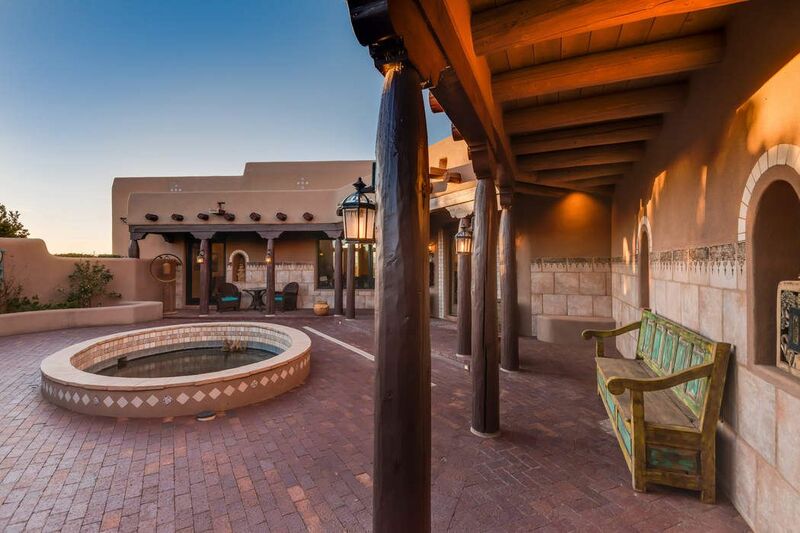 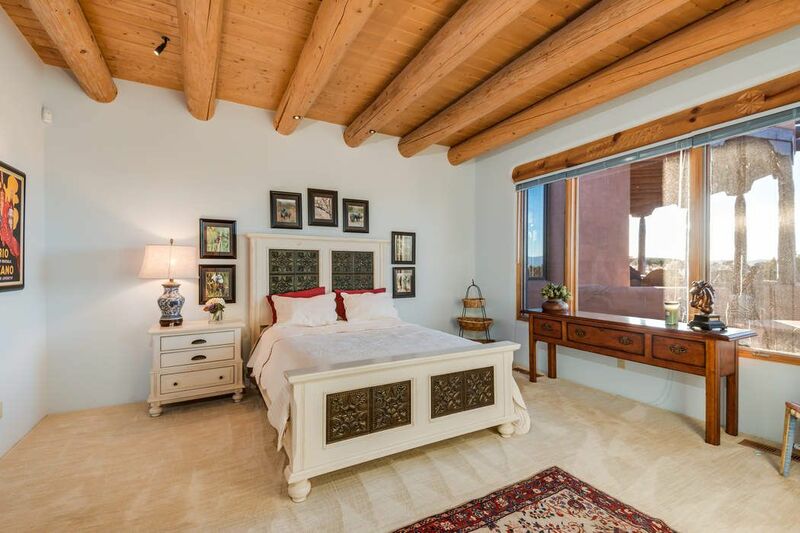 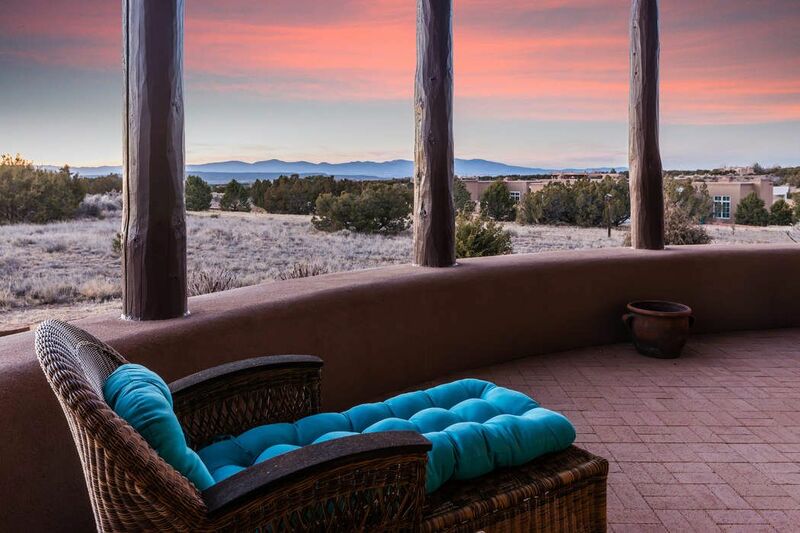 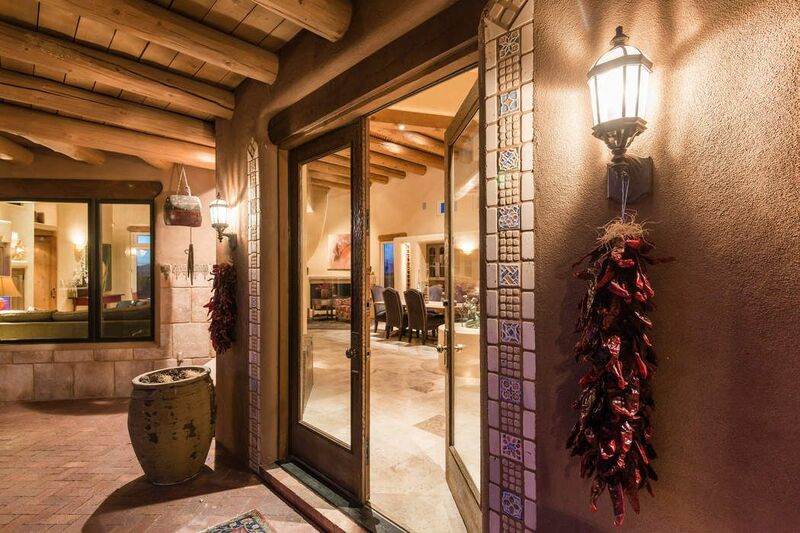 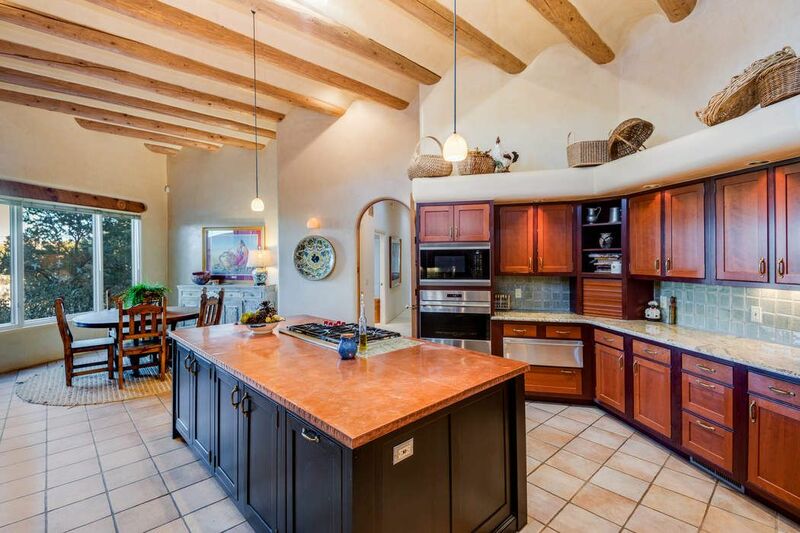 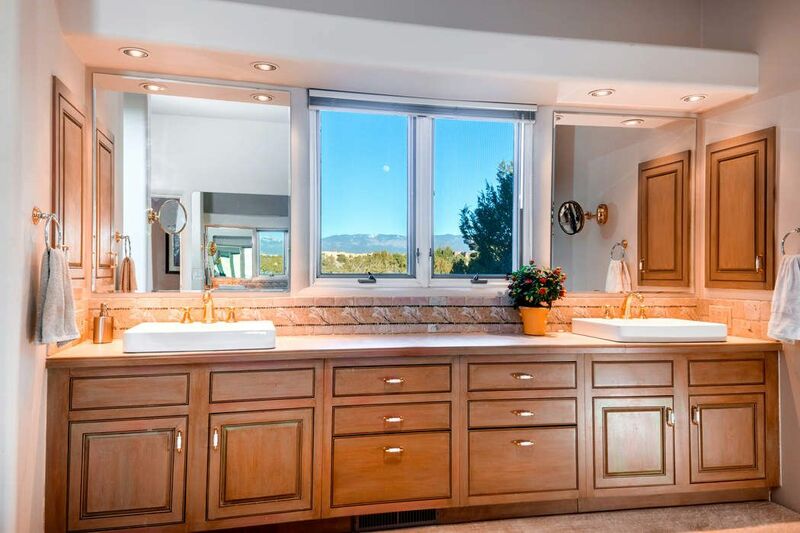 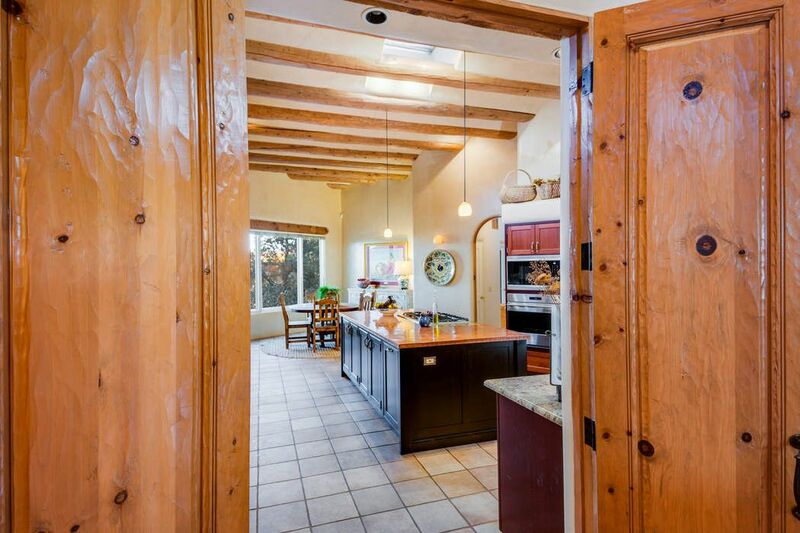 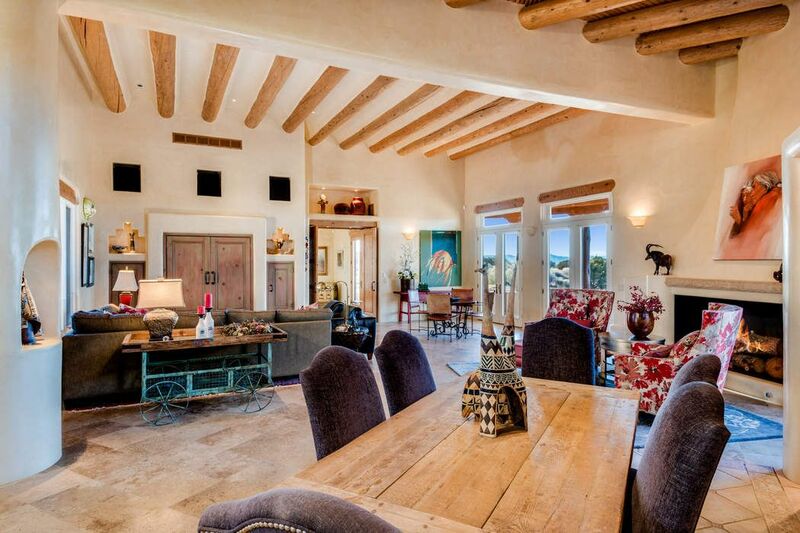 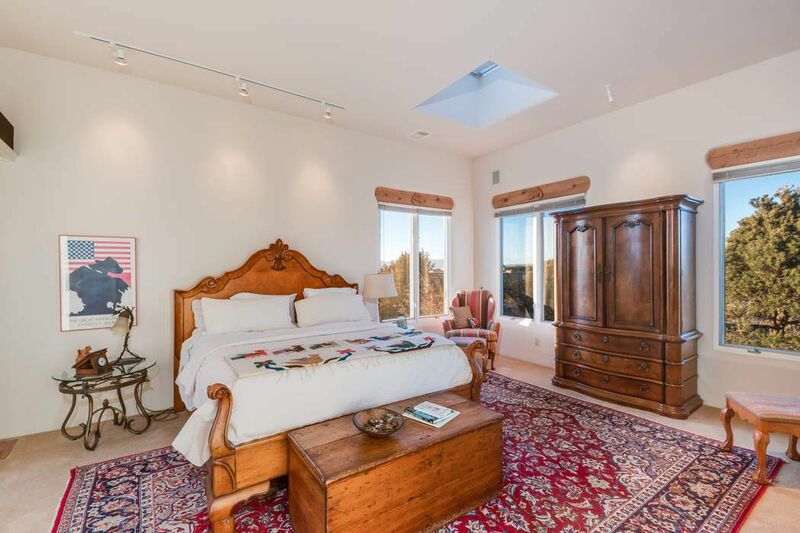 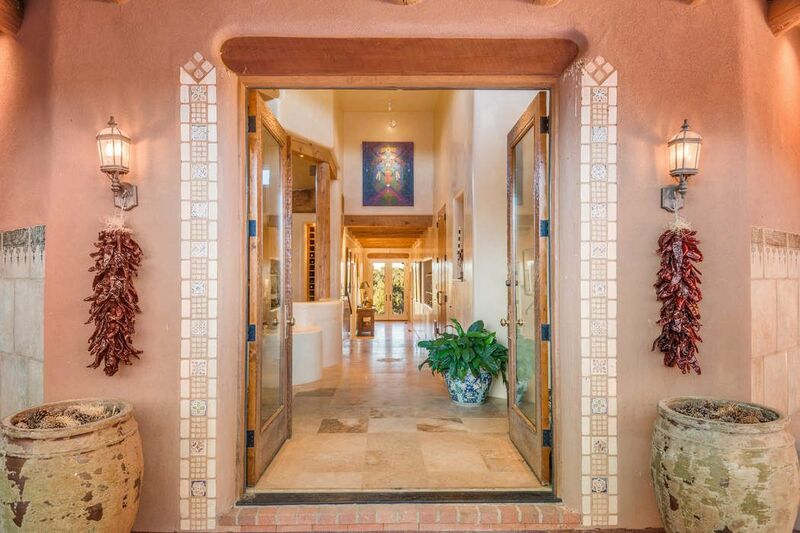 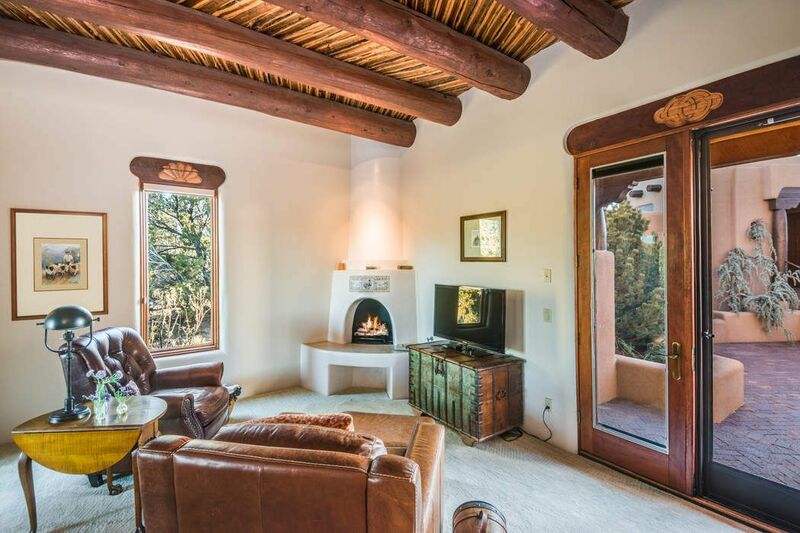 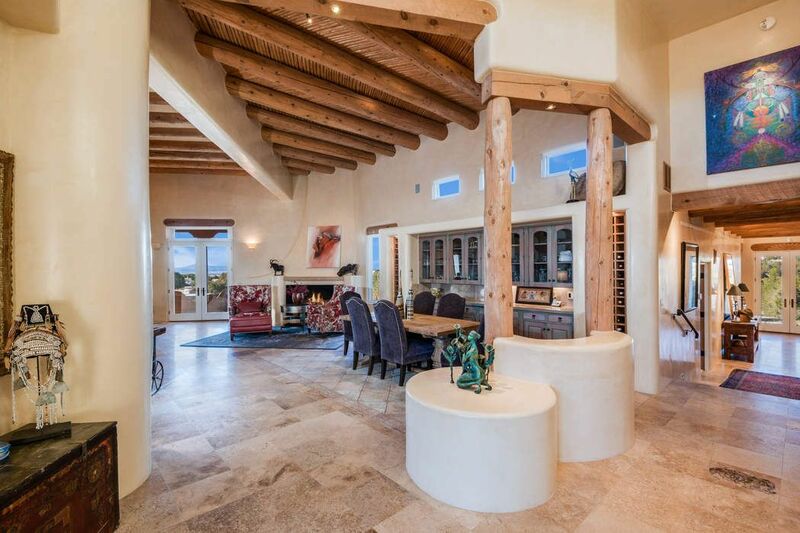 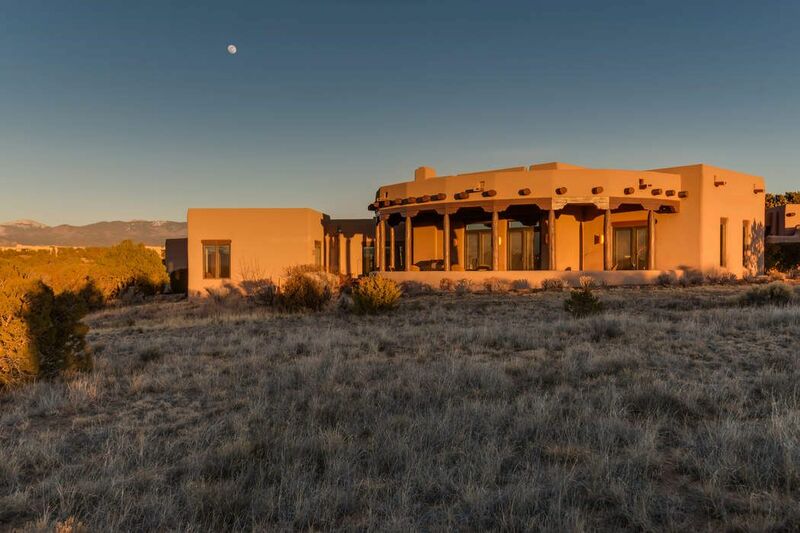 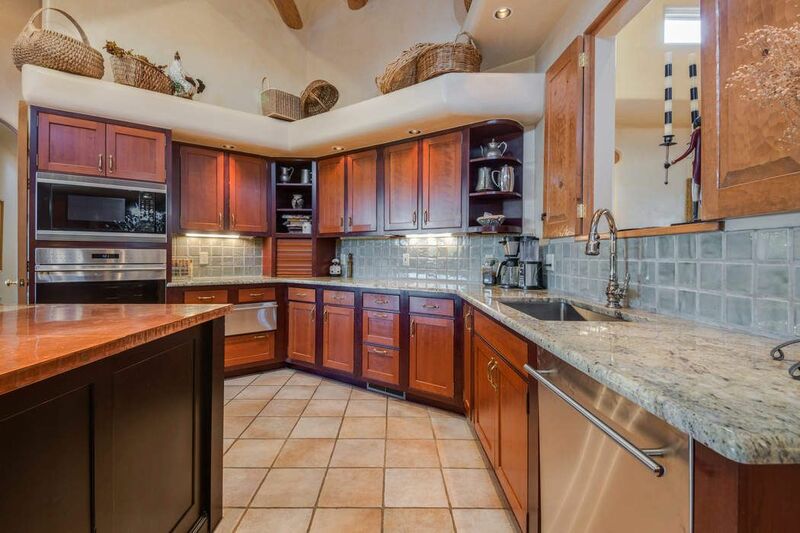 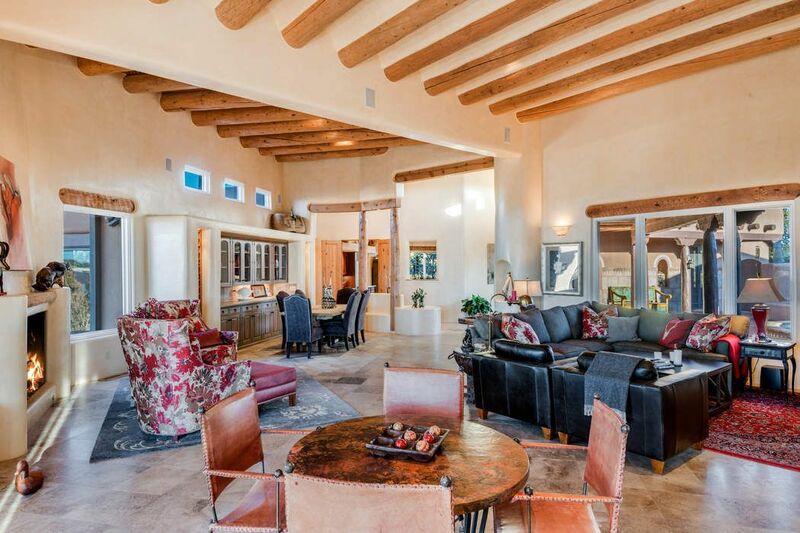 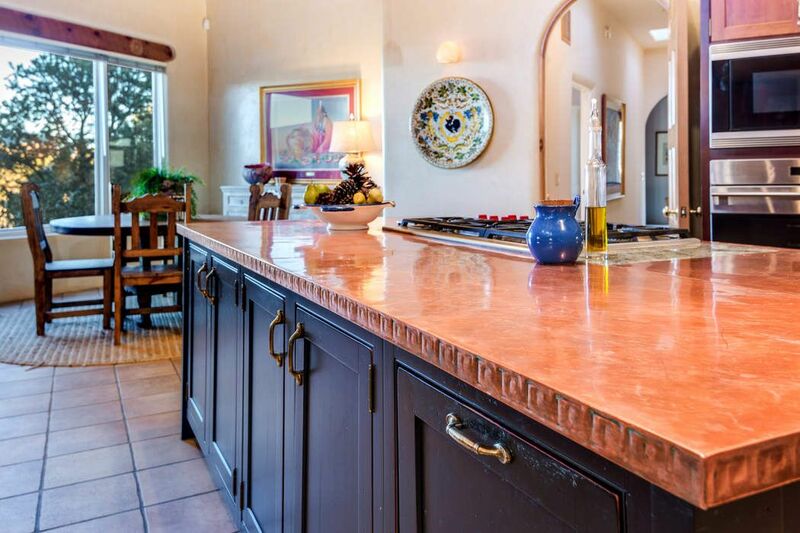 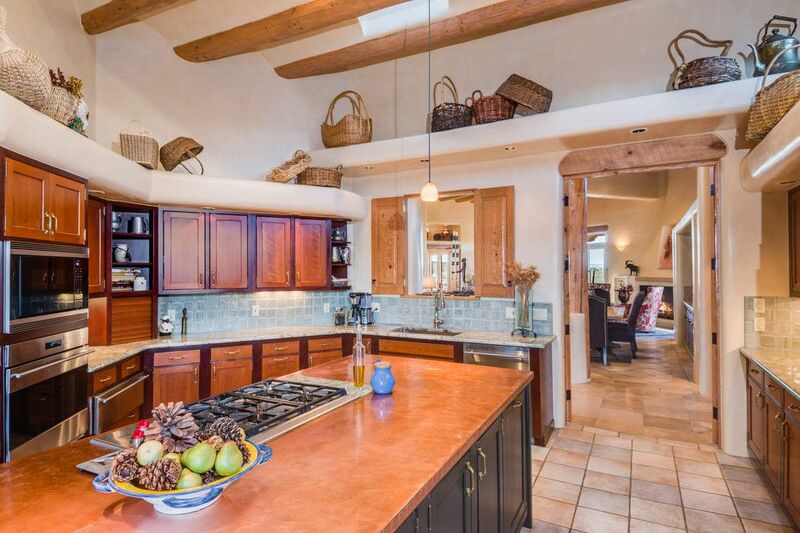 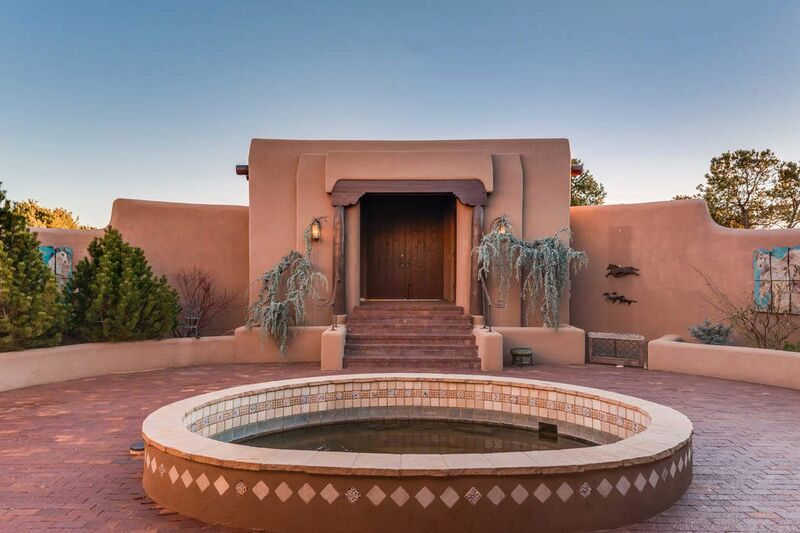 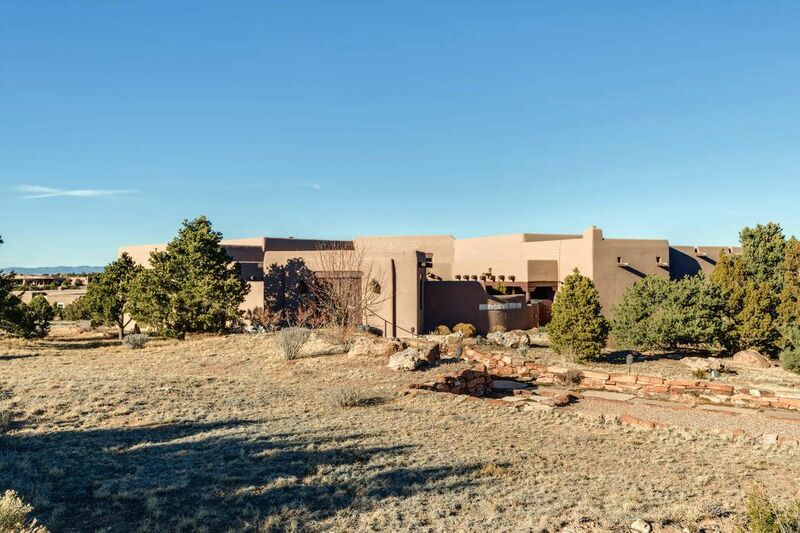 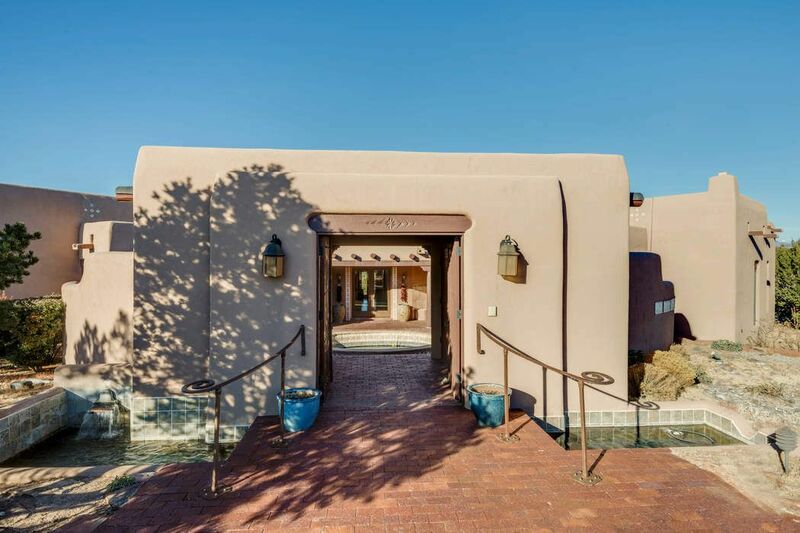 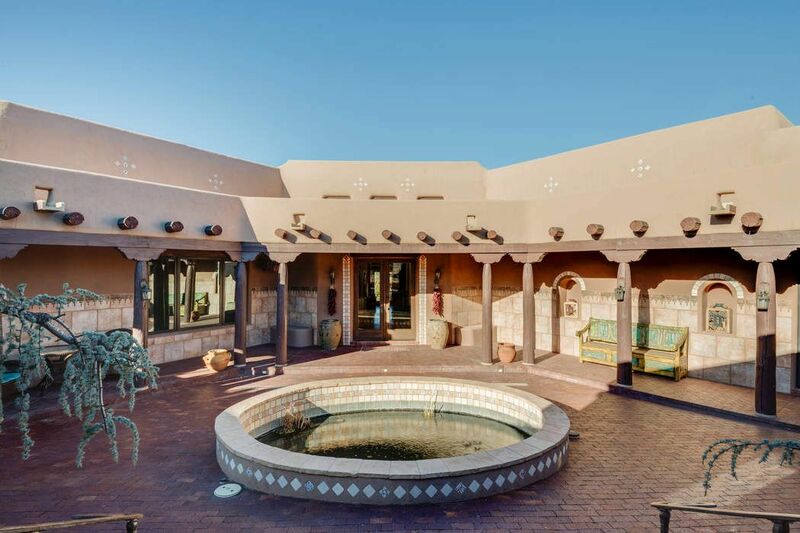 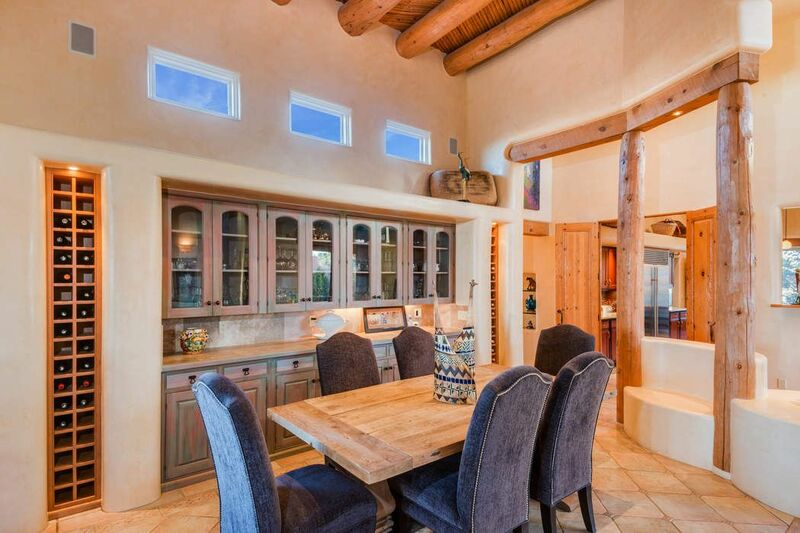 3 E Arrowhead Cir , Santa Fe, NM 87506 | Sotheby's International Realty, Inc.
$1,139,000 3 Bedrooms2 Full / 1 Partial Baths4,444 sq. 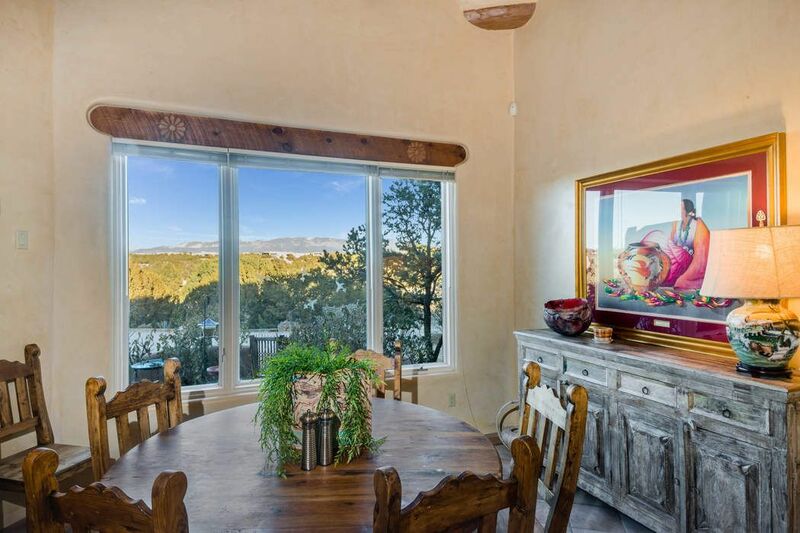 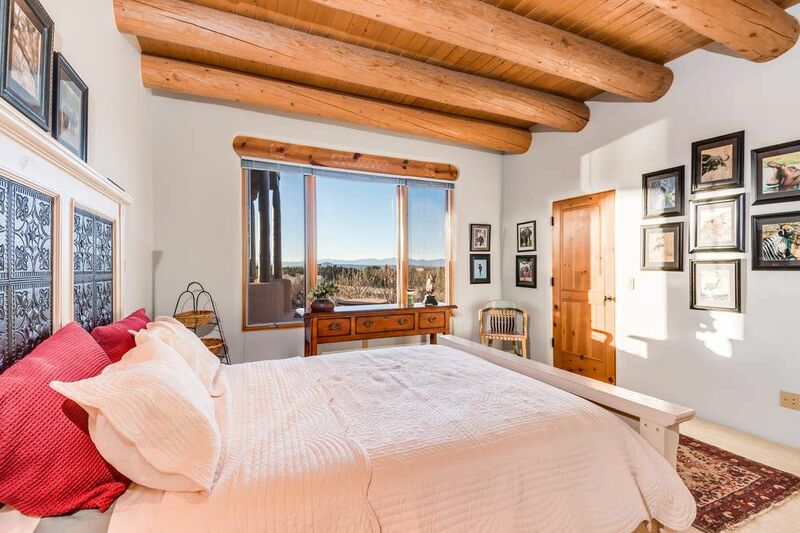 ft.
What an incredibly gracious, light filled home with windows on all sides taking advantage of the Sangre de Cristo and Jemez mountain views! 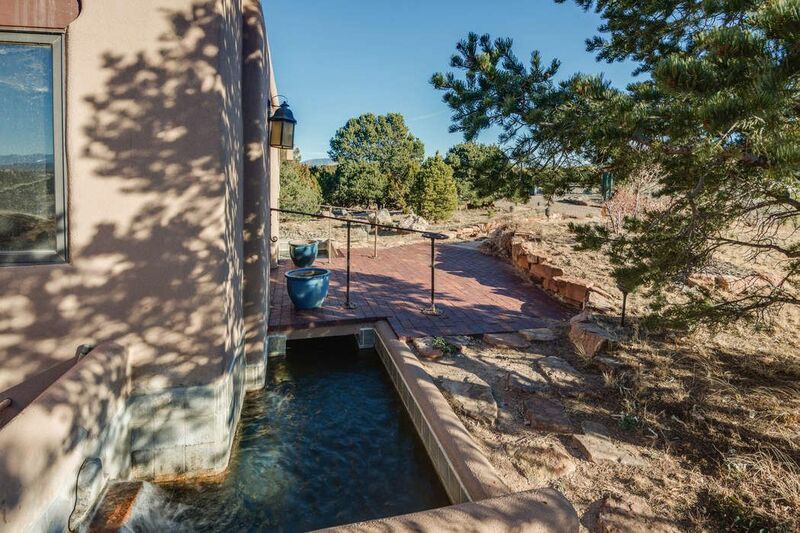 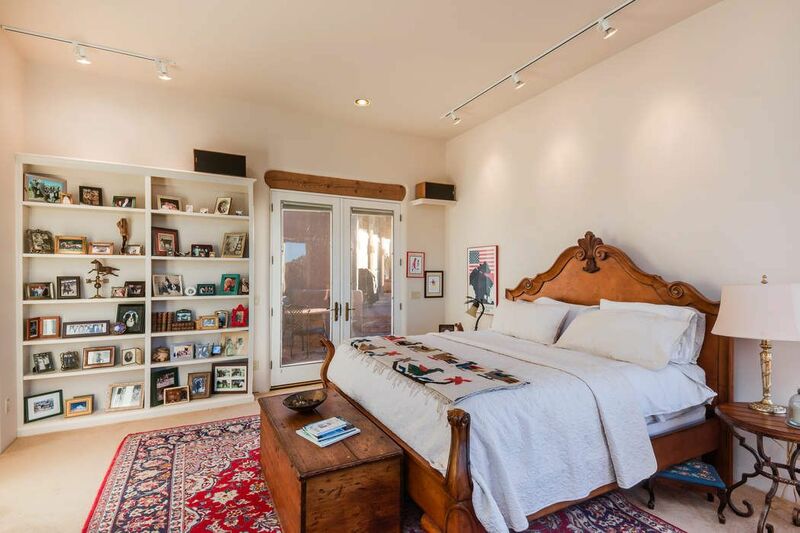 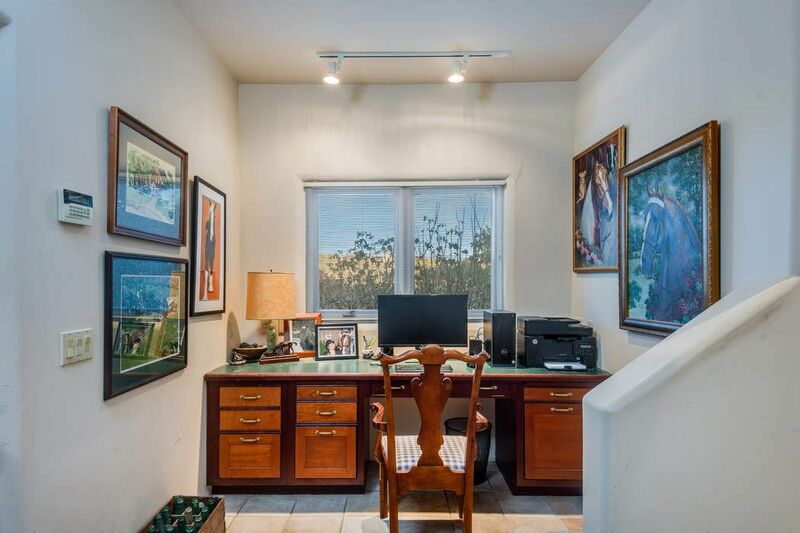 This home is entered through an enclosed courtyard featuring a bubbling Koi pond with ample areas to entertain. 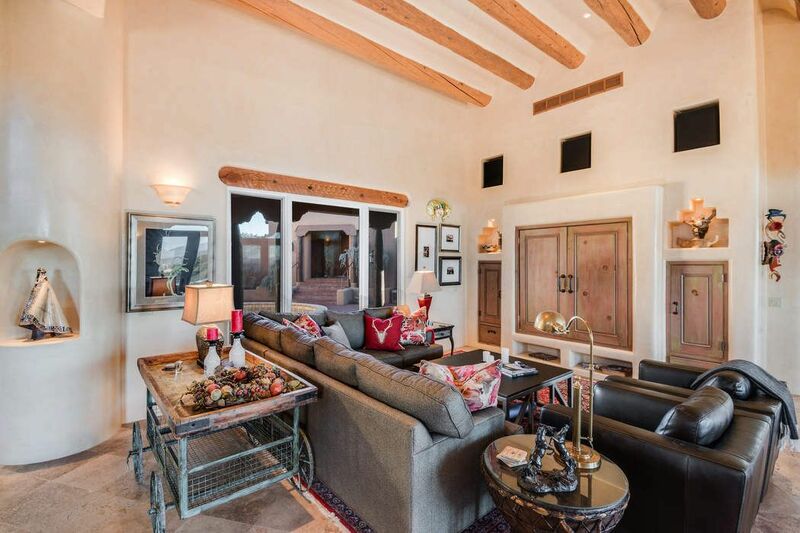 The expansive great room features sitting areas for both intimate and grand entertaining with the ability to flow out to the spacious portals. 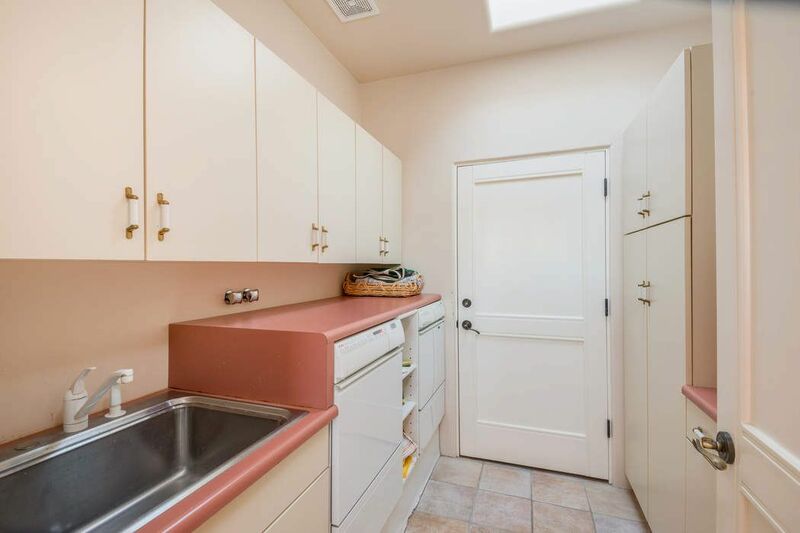 A beautifully updated kitchen with granite and copper counter tops plus an informal eating area will welcome any discerning cook and your guests as well. 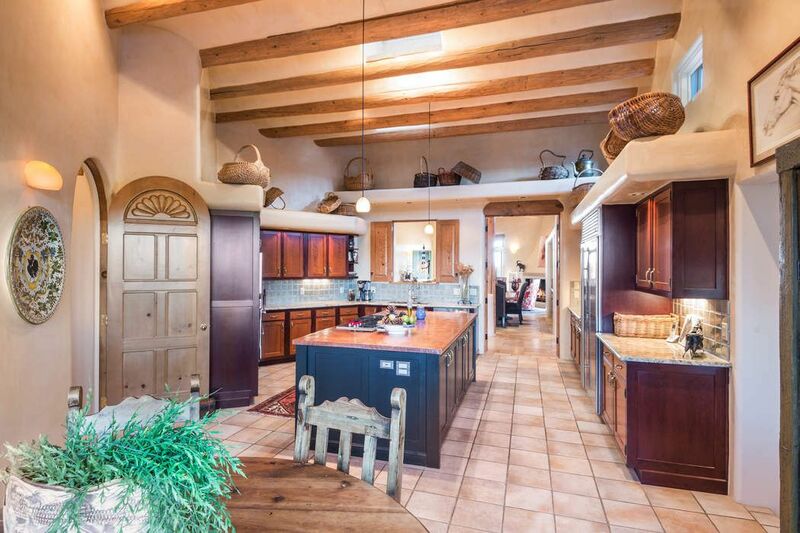 Everyone gathers in the kitchen and this is one you’ll welcome friends into! 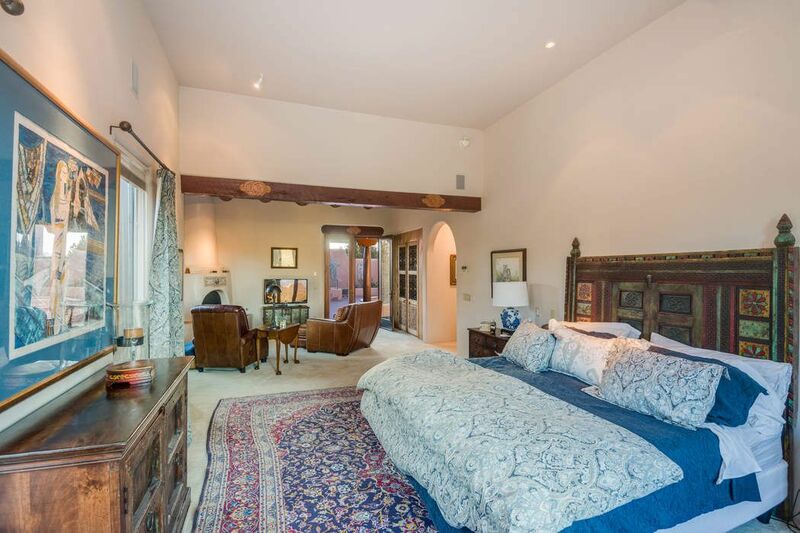 A master suite with two walk-in closets and kiva fireplace plus a spacious master bath are secluded at one end of the home. 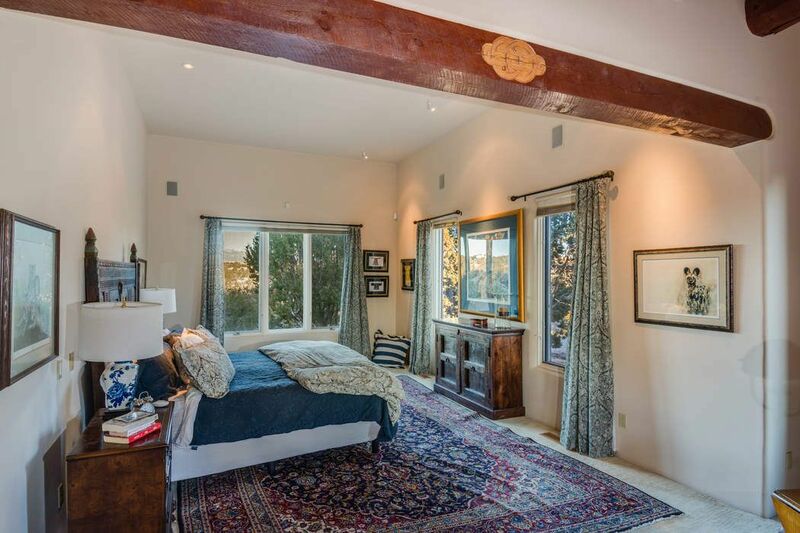 Two secondary bedrooms are in another corner. 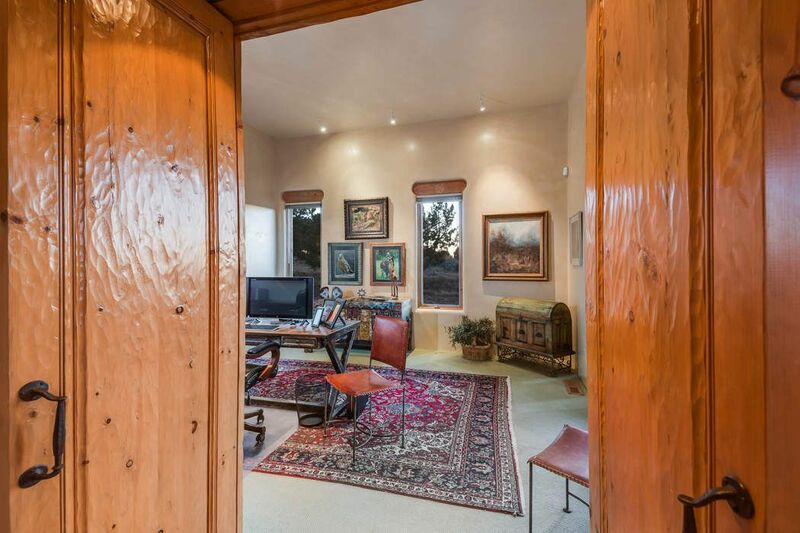 An office and sitting room are in yet another area of the house and allow for flow through the home’s public spaces into the courtyard. 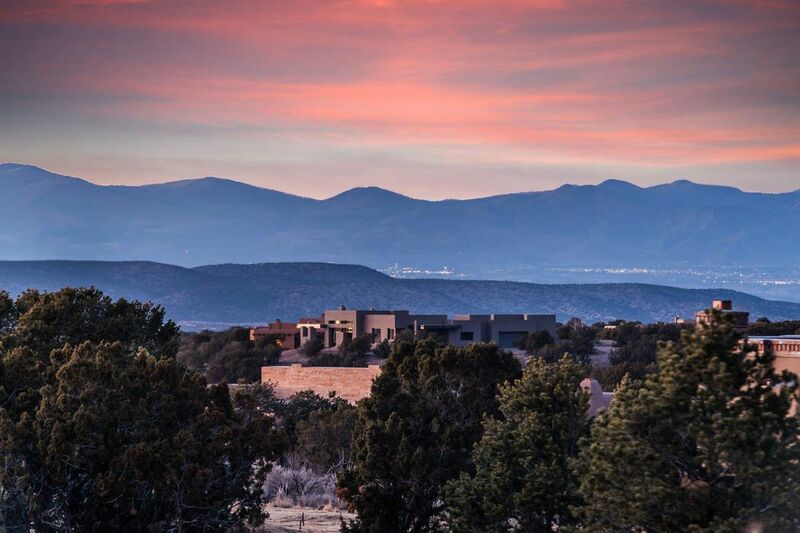 Las Campanas memberships offer access to all club facilities including golf, tennis, fitness and equestrian facilities. 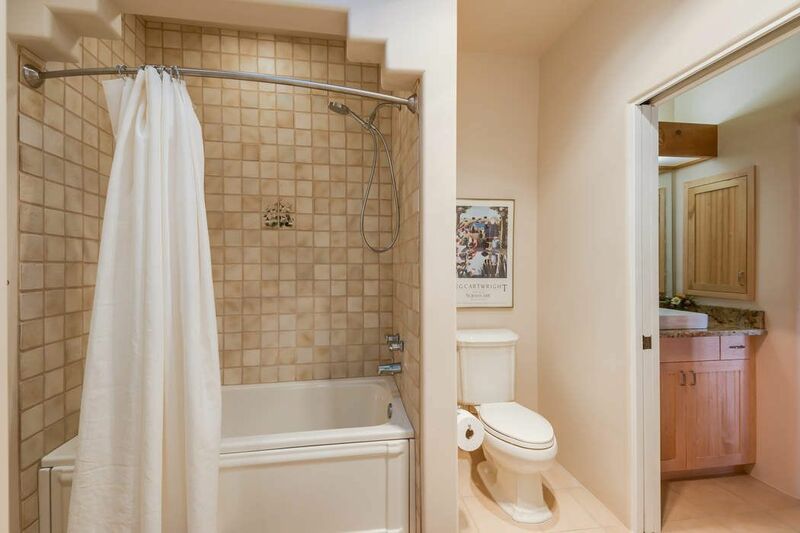 If your choice is to live in your own private environment, no membership is required. 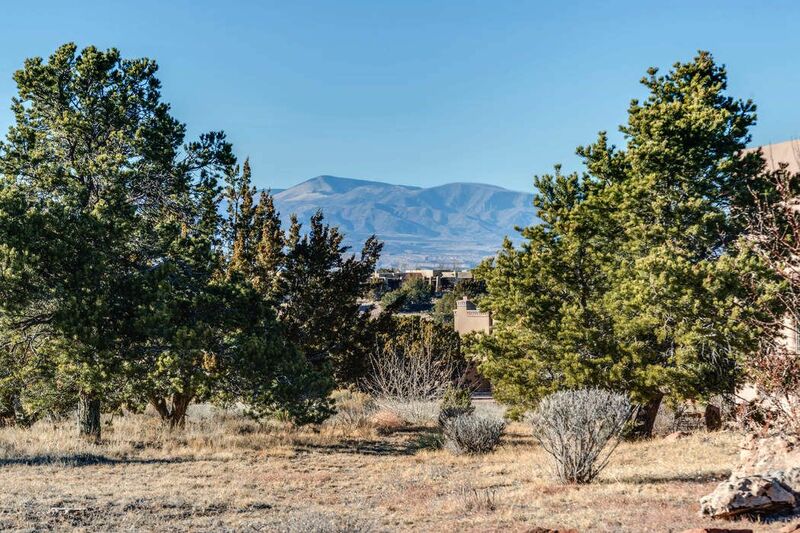 Just enjoy the peace and quiet, the views, the security, and the exceptionally well maintained common areas. 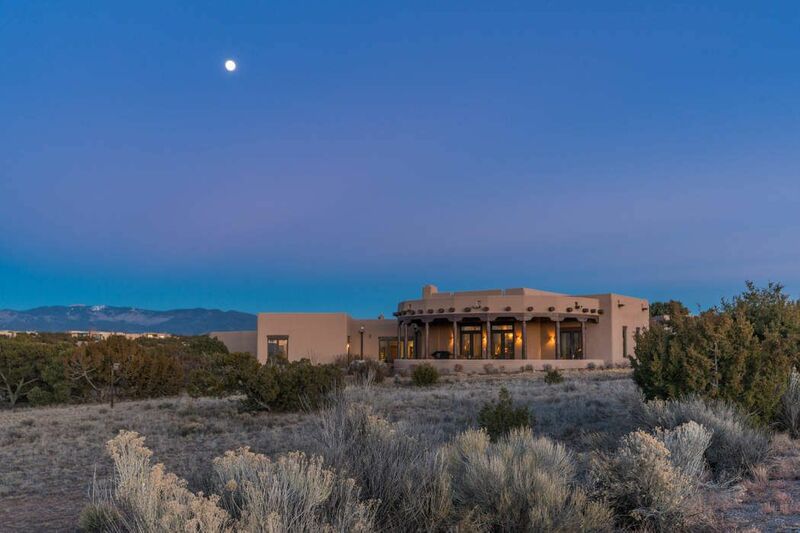 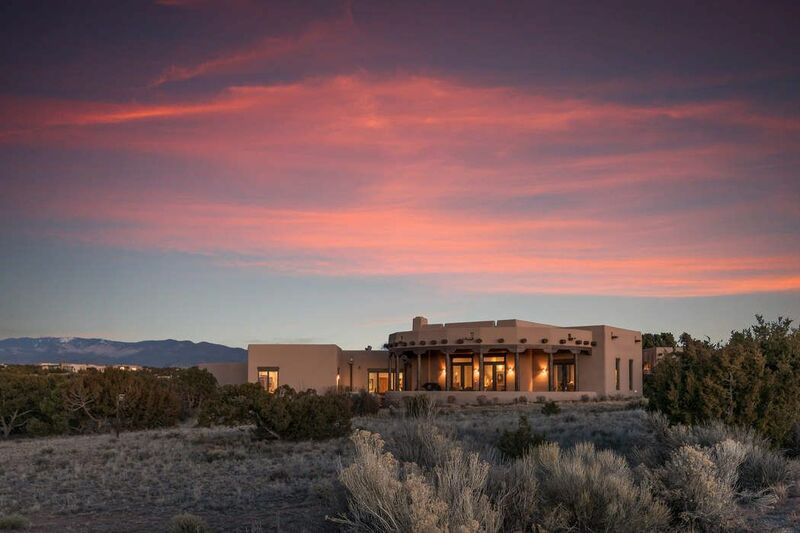 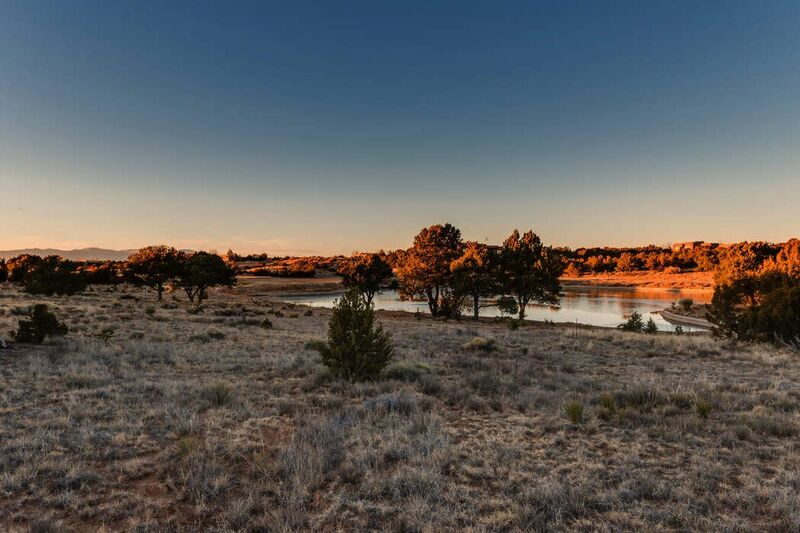 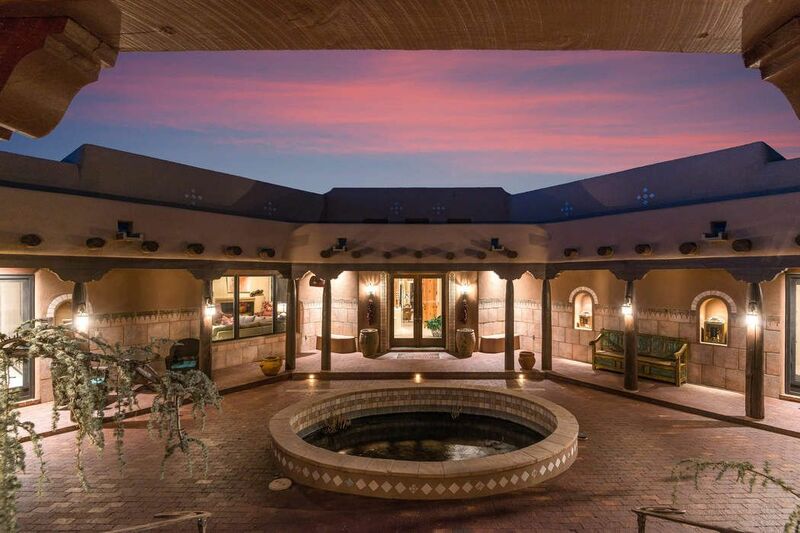 This is a truly special home in an extraordinary environment.